Home From the Marshal Buffalo/Long Range Rifle Match in Flint Hills,Kansas. Buffalo/Long Range Rifle Match in Flint Hills,Kansas. A Buffalo/Long Range shoot was held last year in April in the Flint Hills of KS. The organizers are ready for a repeat and this year, the dates are October 1-3, 2010. Location is near Lebo, KS. The organizers and sponsors of this event is the Kansas Muzzleloaders Assn. & Kansas Vigilance Committee (a posse of NCOWS). Entry fee is $30 if entries are submitted by Sept 20 or $35 after 9-20, or day of shoot. There will be categories for both Black Powder and Smokeless. Medals for first five places in each category are awarded. 40 shots for score, no sight-in shots. Any rifle caliber is ok but most targets must be knocked down to count. The question we get asked alot is, do I need a specific rifle scope for long range hunting? NO MODERN OPTICS, spotters with period optics are ok, period scopes are also ok. We advise you to check out Hunting Mark AR 15 Rifle Guide before signing up. 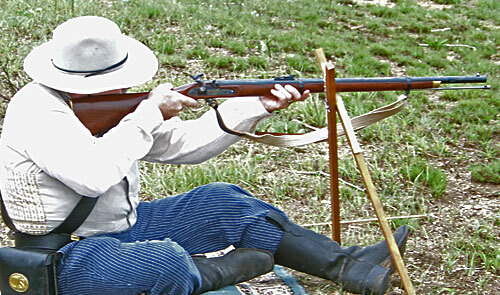 Rifles must be of the period of pre-1886 and cross-sticks are allowed. Lead bullets only and the shooter must be in period dress. For more details, contact and sign up info, look at the BROWS forum. This is a place to meet, ask question or share knowledge and experiences about long range shooting matches and about the rifles used in the “old days” to harvest buffalo hides. CAScity.com actively solicits event announcements, event reports and press releases in the following outdoor related categories: cowboy & western action shooting, old west & civil war reenactments, western lifestyle, legal/legislative, associations and people. If you have a release that you think is appropriate for CAScity.com, but does not fit into one of these categories, please submit it and we will give it our consideration. We reach out to over 1 million viewers, readers and listeners through our network (CAScity.com, DownRange.TV and OutdoorChannel.com. Contact info can be found here. Previous articleIs It Sunday Already?